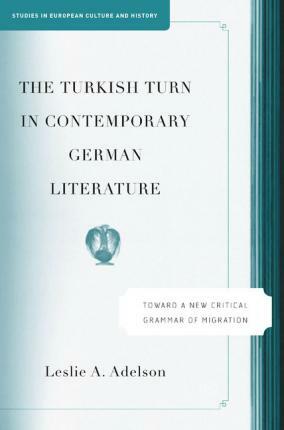 Challenging the commonplace that suspends migrants between two worlds', this study turns a refreshingly curious eye to complex cultural relations and literary novelties wrought by Turkish migration to Germany. At interpretive and historic crossroads involving dialogue and storytelling, genocide and taboo, and capital and labour in the 1990s. This book illuminates far-reaching imaginative effects that literatures of migration can engender. In critical conversation with Arjun Appadurai, Seyla Benhabib, Homi Bhabha, Rey Chow, Andreas Huyssen, Dominick LaCapra, Doris Sommer, and many others, Adelson probes history and aesthetics as surprisingly twinned indices of national and global transformation at the millennial turn. Illustrations note X, 264 p.
"the Turkish migrants" are caught in narratives exacerbating otherness. LESLIE A. ADELSON is Professor and Chair of German Studies at Cornell University, USA.